I Dont Battle... I War! 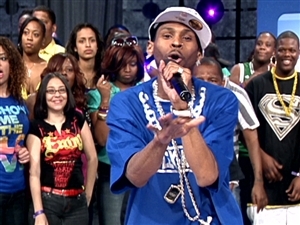 A-LEX is an internationally acknowledged artist who has made many televised appearances including BET's 106 & Park numerous times performing original songs such as "Turn it Up!" "Do Dat Thang", "I Ain’t Gon’ Stop", and others just to name a few (all which can be found on his most recent release "LEXtraterrestrial"). A-LEX & his music are accepted in a wide range of cultures; he has performed everywhere from Puerto-Rican Day Parades/Festivals to the Nigerian Entertainment Awards. LEX has been featured on many websites (i.e. YouHeardThatNew.com, Soundclick.com, BET.com, etc.) and radio stations. He has recorded and graced stages all across America and Europe.